Who would've thunk that adding a built-in suction cup to a solar charger would make it more useful? The folks at Quirky, I guess. Their Ray Solar Charger ($40) features a clever design with a suction cup surround that allows the charger to stick to any window or windshield and effectively soak up the sun. 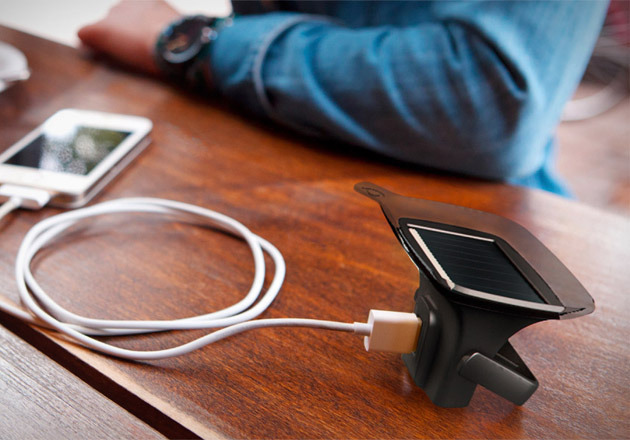 This solar charger is also outfitted with a kickstand for desktop use and a battery that can hold enough power to fully charge a cell phone.